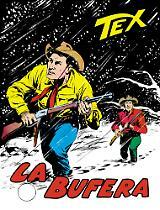 In one of the craggy ravines of Rainbow Canyon, Arizona, a solitary avenger, Tex, is hunted by the Marshall and his men. But when he crosses paths with a young Native woman, Tesah, the outlaw is involved in a dangerous treasure hunt. He will have to prevent the wicked John Coffin to put his hands on the treasure of the Pawnee, by means of the "Sign of the Totem"! 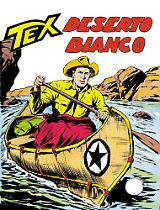 This variant edition sports an embossed silver cover reproducing Tex Willer's ranger star, as drawn by Fabio Civitelli.